PEN America is partnering with the Brooklyn Museum to present an evening of cocktails and conversation centering Caribbean women writers. 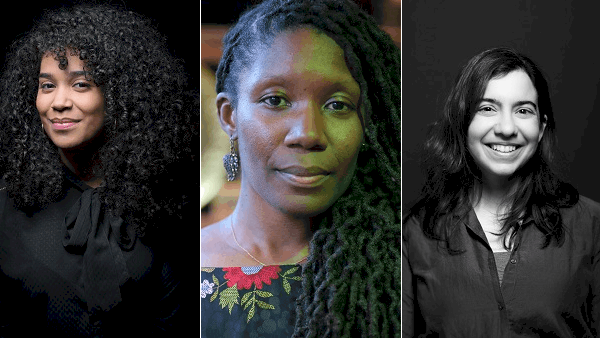 This evening, the second in our two-part series presents a conversation between Dominican poet and novelist Elizabeth Acevedo, Brooklyn-based Jamaican novelist Nicole Dennis-Benn, author of Here Comes the Sun, named a New York Times “Best Book of the Year;” and Malka Older, Cuban-American author of Infomocracy and Null States. Tickets are $16 and include Museum admission. VIP tickets are $50 and include Museum admission and an open bar. Part of A Year of Yes: Reimagining Feminism at Brooklyn Museum. Photo of Nicole Dennis-Benn credit Ozier Muhammad, photo of Malka Older credit Allana Taranto Ars Magna Studio.